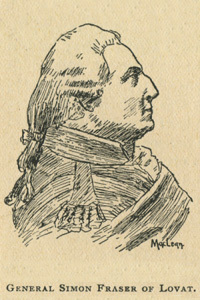 Simon Fraser, 19th Chief of the Clan Fraser, was a Scottish General in the British Army who lead the 78th Fraser Highlanders under General James Wolfe in the war against the French in Quebec. He later lead Fraser's Highlanders in the American War of Independence. "James Thompson, a Sergeant in the 78th Regiment had kept a record of the early meetings of the Craft in Quebec, as well as copies of letters written and received by him during the years he was Grand Secretary of the Provincial Grand Lodge of Quebec. From this record it is now established that the first joint meeting of the Lodges in the garrison was held on 28 November 1759, which "was as soon as Convenient after the Surrender of this place to His Brittanic Majesty's Arms." Colonel Simon Fraser, himself a freemason, signed a letter petitioning the Grand Lodge of England for a charter to form a lodge within the regiment. 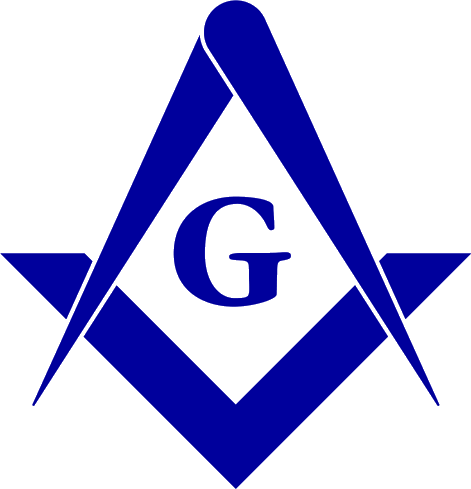 This was duly granted and the lodge began to meet in Quebec from 1760. In the spring of 1760 Thomas Dunckerley installed Colonel Simon Fraser, of the 78th Regiment, as Provincial Grand Master of Quebec. The fur trader and explorer Simon Fraser (1776-1862) was not a freemason, although his son, John, was. Source: One Hundred Years of Freemasonry in the Province of Quebec, A. J. B. Milborne, Quebec : 1969.